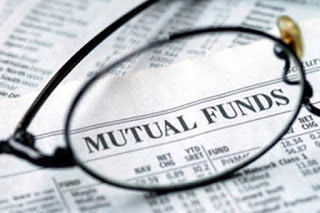 Inflows into equity mutual fund schemes in July slowed down to their lowest levels in four months, even as the performance of large-cap and small-cap funds remained just about satisfactory. The average monthly inflows in the first four months of FY2018-19, declined to `10,400 crore from an average monthly of around `14,200 crore seen in 2017-18. The slowdown in inflows into MF schemes has meant that fund houses have cut down buying in the equity markets. Mutual funds invested `3,995 crore in equities in July, the lowest quantum in the last 17 months, data from Securities and Exchange Board of India (Sebi) shows. Data for a sample of 30 large-cap funds shows that only three large-cap funds have managed to outperform their respective benchmarks for the period of two years ending July 2018. Axis Bluechip Fund was the only fund to outperform its benchmark in both the one and two year-periods. Sundaram Select Focus Fund and JM Core 11 outperformed the benchmark over two years, data from Value Research shows. Only four small-cap funds managed to beat their respective benchmarks for the two-year period. Market participants say that slowing down of inflows into equity funds, including equity linked saving schemes (ELSS), is largely to do with the volatility in the equity markets.